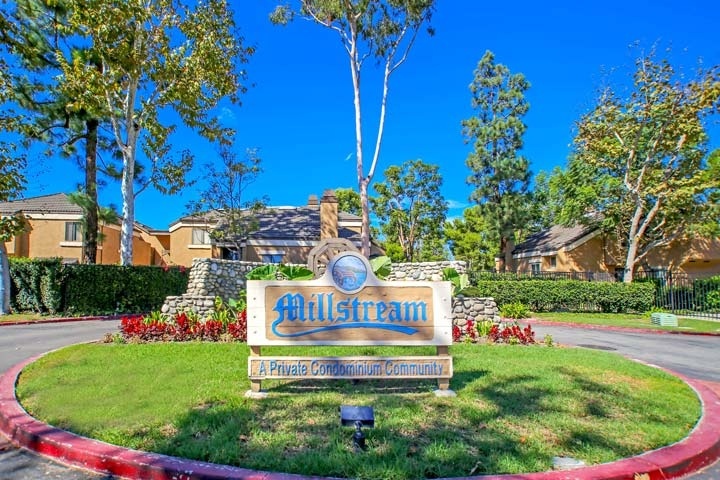 Mill Stream condos are located in the Northwest Huntington Beach area of Huntington Beach, California. The Mill Stream neighborhood was built in the early 1980's and features two to three bedroom condos that range in size from 969 to 1,542 square feet of living space. The community offers a private gated entry, heated community pool and landscape maintenance that's included in the monthly homeowners association dues. Pets are allowed here based on certain restrictions from the association. Below are the current Mill Stream condos for sale and for lease in Huntington Beach. Please contact us at 888-990-7111 with questions regarding this community and any of the condos listed here.